I’m thrilled to see this story take flight. Hope everyone enjoys their time in The Kingdom of Chalvaren. The dragons are here! The Romance is hot! The villains are angry! The Sword&Sorcery is rich! The magic is amazing! The book shows us a brand new world where the theme is Love is Worth Fighting For. Epic Fantasy with the heart of a Romance. The elves of Chalvaren have a dynasty to build. Their nobility, their very kingdom is at risk and they’ll stop at nothing to make sure their way of life is preserved. But darkness looms, and they’ll have to find a way to collaborate to stop the evil threatening their dragons, and their very lives. 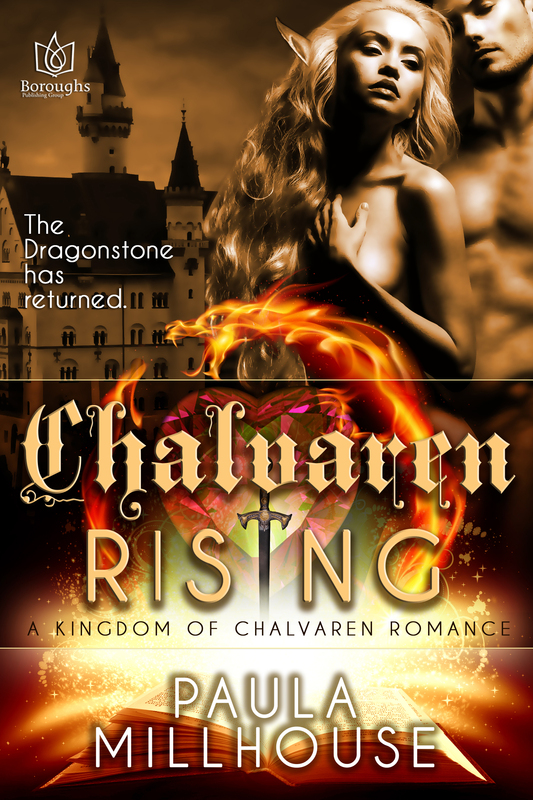 Treat yourself to a copy of Chalvaren Rising now. It’s a fairy tale with enduring characters meant to entertain your heart and endure through time. Share Chalvaren Rising with your friends. Your kind words and enthusiastic reviews are deeply appreciated! Thank you in advance. Congratulations! Just grabbed a copy of the first one so I can get up to speed on this series. Thanks for stopping by, Alanna! This is a very good day. Thank you for being part of it. Ooo I love the cover. Thanks so much, Avasterling. It’s pretty, ah, catchy, right? I hope people enjoy the novel. Thanks for stopping by.